Social Ventures Hong Kong is a venture philanthropic organization, aiming to provide support to Social Purpose Organizations or Social Enterprises in Hong Kong. 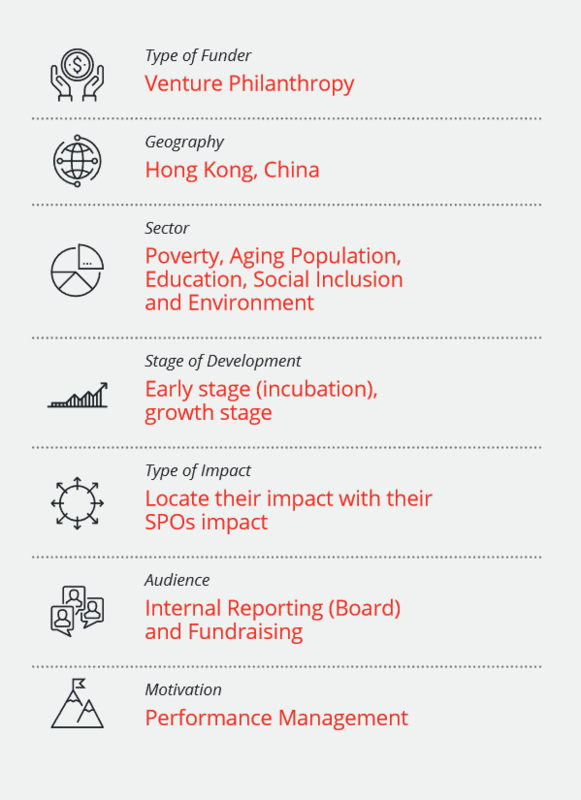 Social Ventures Hong Kong has tried a number of approaches over the years since 2007 and has developed a customised approach based on individual business models. their theory of change and consulted with management on the priorities for impact assessment and the portfolio organisations on relevant metrics. SVhk divided their portfolio into two broad categories based on their degree of engagement. For companies with lower engagement levels, SVhk measures their contribution to the lives touched. For companies receiving capital and active incubation support, metrics are more in depth and sector based. SVhk claim some attribution to the SPO’s impact since their support has been critical for the survival and growth of the SPO. Aggregation at portfolio level is high due to different sectors and different business models, but key metrics are aggregated. Used the Bridges Ventures Impact Radar as a learning point but developed their own customised set of metrics based on individual business models. The qualitative assessment done before this framework was time-consuming, so portfolio companies were fine to switch. SVhk still consulted with the enterprises on relevancy of metrics. 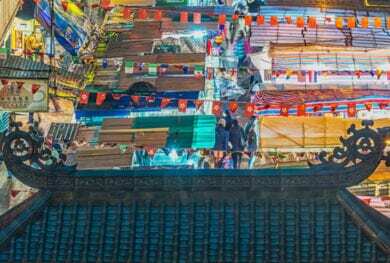 Since their methodology was a revision for an ongoing portfolio, SVhk did not do a baseline, but consolidated numbers from the year before as the starting point. Now they follow quarterly reporting for review and yearly consolidation. There is no budget for IA, so use internal resources and time. Reports to the board, qualitative stories are some of the ways they present impact. Rely on using infographics to make it more engaging and accessible for the reader.